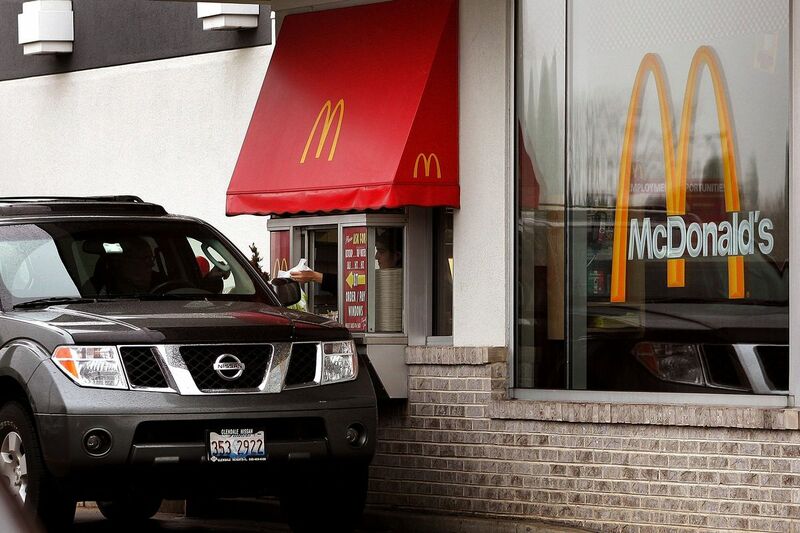 Next time you pull up to a McDonald’s drive-thru, you might see exactly what you’re craving front and center. Menus will be personalized based on factors like weather, local events, restaurant traffic, and trending items. This new technology will be powered by their acquisition of personalization company Dynamic Yield. The menu can be programmed against triggers with scenarios such as offering ice cream and iced coffee when the temperature rises above 80 degrees, or pushing hot chocolate when it starts to rain. Once a person starts ordering, the menu will offer add-ons based on the previous selections made. For example, a person ordering a salad may be offered a smoothie instead of fries. McDonald’s already builds off of customer’s cravings. Now that these cravings can be predicted, personalized, and optimized over time, there’s a high likelihood that customers will be ordering more at the drive-thru window. A virtual assistant, also called AI assistant or digital assistant, is an application program that understands natural language voice commands and completes tasks for the user. Such tasks, historically performed by a personal assistant or secretary, include taking dictation, reading text or email messages aloud, looking up phone numbers, scheduling, placing phone calls and reminding the end user about appointments. Popular virtual assistants currently include Amazon Alexa, Apple’s Siri, Google Now and Microsoft’s Cortana — the digital assistant built into Windows Phone 8.1 and Windows 10. 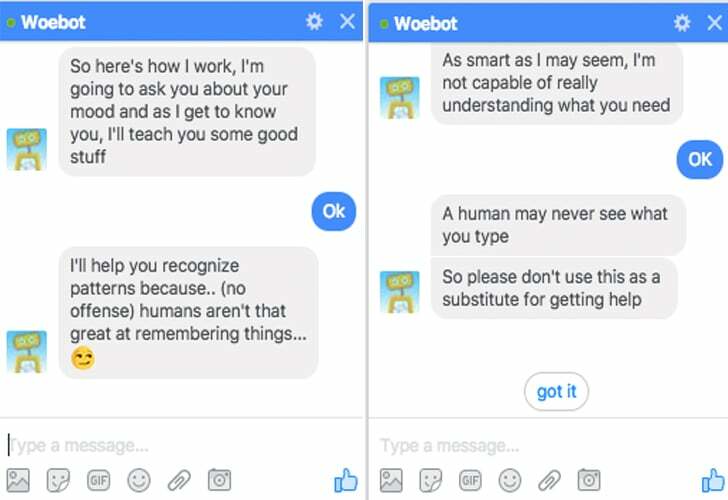 Intelligent Personal Assistant: This is software that can assist people with basic tasks, usually using natural language. Intelligent personal assistants can go online and search for an answer to a user’s question. Either text or voice can trigger an action. Smart Assistant: This term usually refers to the types of physical items that can provide various services by using smart speakers that listen for a wake word to become active and perform certain tasks. Amazon’s Echo, Google’s Home, and Apple’s HomePod are types of smart assistants. Virtual Digital Assistants: These are automated software applications or platforms that assist the user by understanding natural language in either written or spoken form. Voice Assistant: The key here is voice. A voice assistant is a digital assistant that uses voice recognition, speech synthesis, and natural language processing (NLP) to provide a service through a particular application. Tractica is a market intelligence firm that focuses on human interaction with technology. Their reports say unique consumer users for virtual digital assistants will grow from more than 390 million worldwide users in 2015 to 1.8 billion by the end of 2021. The growth in the business world is expected to increase from 155 million users in 2015 to 843 million by 2021. With that kind of projected growth, revenue is forecasted to grow from $1.6 billion in 2015 to $15.8 billion in 2021. The traditional hiring process for companies, especially large organizations, can be exhaustive and often ineffective, with 83% of candidates rating their experience as “poor” and 30-50% of candidates chosen by the company end up failing. Unilever recruits more than 30,000 people a year and processes around 1.8 million job applications. As you can imagine, this takes a tremendous amount of time and resources and too often talented candidates are overlooked just because they’re buried at the bottom of a pile of CVs. To tackle this problem, Unilever partnered with Pymetrics, an online platform on a mission to make the recruiting process more predictive and less biased than traditional methods. Candidates start the interview process by accessing the platform at home from a computer or mobile-screen, and playing a selection of games that test their aptitude, logic and reasoning, and appetite for risk. Machine learning algorithms are then used to assess their suitability for whatever role they have applied for, by matching their profiles against those of previously successful employees. The second stage of the process involves submitting a video interview that is reviewed not by a human, but a machine learning algorithm. The algorithm examines the videos of candidates who answer various questions, and through a mixture of natural language processing and body language analysis, determines who is likely to be a good fit. One of the most nerve-wracking aspects of the job interview process can be anticipation of the feedback loop, or lack thereof – around 45% of job candidates claim they never hear back from a prospective employer. But with the AI-powered platform, all applicants get a couple of pages of feedback, including how they did in the game, how they did in the video interviews, what characteristics they have that fit, and if they don’t fit, the reason why they didn’t, and what they believe they should do to be successful in a future application. Lush is known for its colorful soaps and bath bombs, but the brand has consistently prioritized going green above all else—and its very first SXSW activation was no exception. 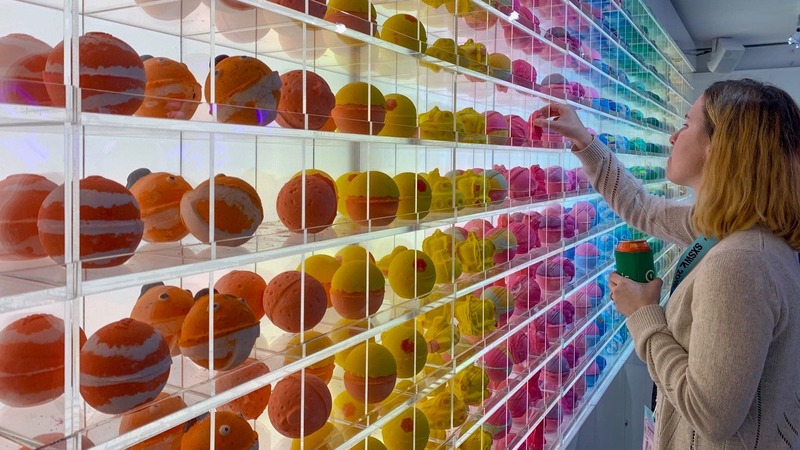 The brand set up its bath bomb pop-up to showcase its 54 new bath bomb creations using absolutely no signage. Instead, attendees could download the Lush Labs app, which uses AI and machine learning to determine what each bath bomb is with just a quick snapshot. 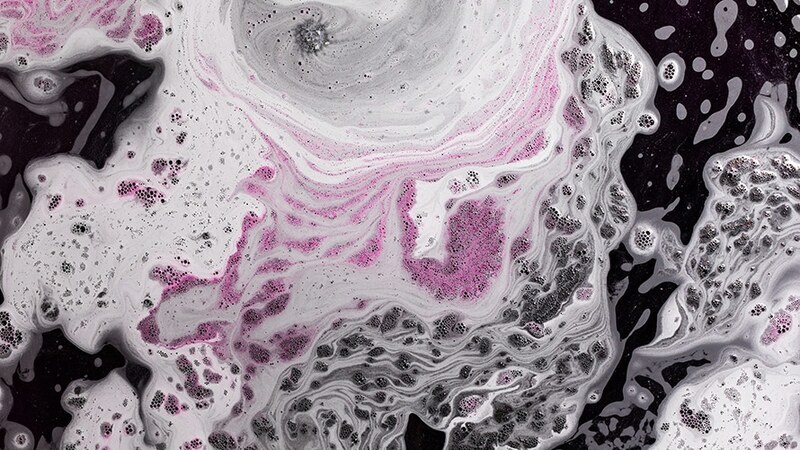 “At Lush, we care about sustainability, and we wanted to take that same lens … and apply it to the way we are using technology,” Charlotte Nisbet, global concept lead at Lush, told Adweek. “But we were still facing the barrier to being even more environmentally friendly with packaging and signage in our shops,” Nisbet said. Enter the Lush Lens feature on the Lush Labs app, which lets consumers scan a product with their phone to see all the key information they’d need before making a purchase: price, ingredients and even videos of what the bath bomb looks like when submerged in water. “This means that not only can we avoid printing signage that will eventually need to be replaced, but also that customers can get information on their products anytime while at home,” Nisbet said. 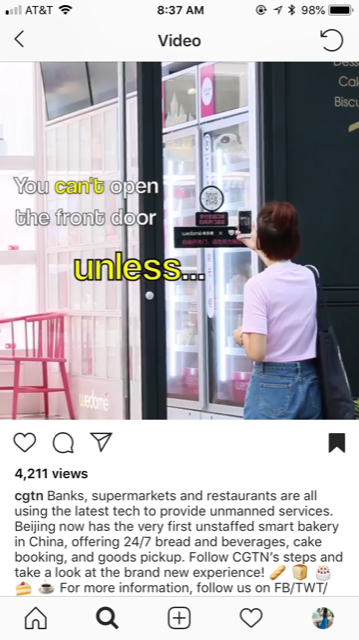 The application sounds cool but is this a sustainable direction for more stores to take? As brick and mortar stores continue to struggle, we could see many start to experiment with ways to bring digital experiences to consumers already plugged into their smartphones in retail spaces. 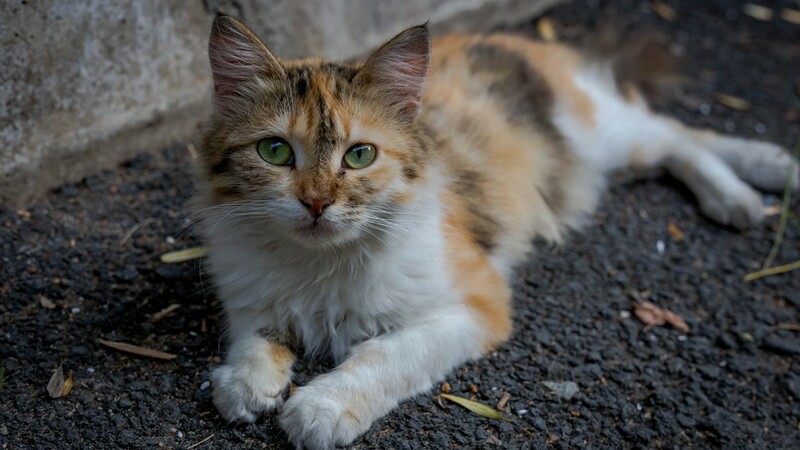 For stray cats, winter is almost fatal. Using AI, a Baidu engineer has devised an AI Smart Cattery to shelter stray cats and help them survive Beijing’s cold winter. It can accurately identify 174 different cat breeds, as to let them enter and exit as they please. A door will slide open if the camera spots a cat, but it won’t work on dogs. Multiple cats can fit inside the space.A fresh air system monitors the oxygen and carbon dioxide levels to ensure the small space is well-ventilated. Another neat camera feature is that it can be also used to detect if the cat is sick — it can identify four common cat diseases, such as inflammation, skin problems, and physical trauma. Once a cat is identified as needing care, associated volunteers can be informed to come and collect it. Why it’s Hot: A neat implementation of AI for good – it pushes us to think beyond using AI for just marketing purposes and lets us imagine it’s role in helping solve human (and animal) problems. After years of research, McCormick & Company and IBM have announced the creation of a new AI system that will help spice up the dinner experience. The platform uses machine learning to predict winning flavor combinations and will aid McCormick in developing new recipes faster. 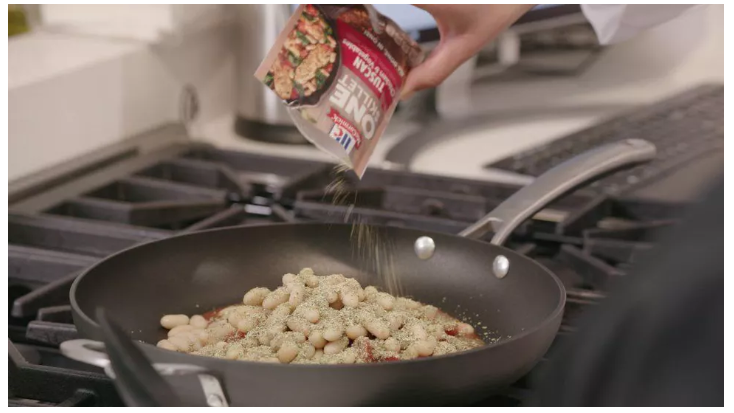 This spring, McCormick will debut the first AI-developed flavors in a new product line named “One.” The new recipe mixes intended for easy one-dish protein and vegetable dinners will include Tuscan Chicken, Bourbon Pork Tenderloin, Farmers Market Chicken, Glazed Salmon and New Orleans Sausage. The data that led to these flavors involved 40 years of McCormick’s proprietary collection of past product recipes and consumer flavor preference studies. 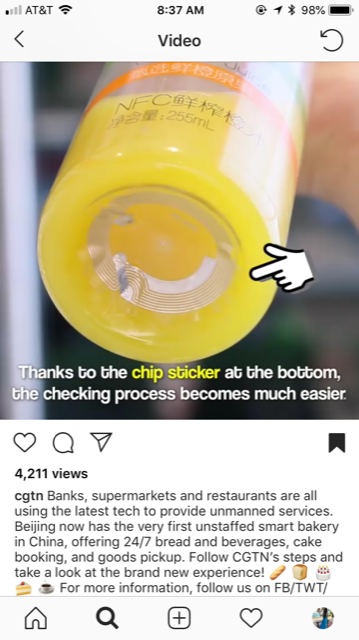 While the brand partnership seems unexpected, it’s smart of McCormick to take all the data they’ve collected over the years as the leader in their space and put it to good use in product innovation. The problem stems from the sets of photos the algorithms were trained on — which skew heavily toward white men, the researchers said. And that caused AOC to sound the alarm on Twitter. When you don’t address human bias, that bias gets automated. Machines are reflections of their creators, which means they are flawed, & we should be mindful of that. And if you’re really behind on implicit bias, please visit Harvard’s Project Implicit to learn more. For possibly the first time, Congress has a credible authority on technology and she’s on the House Oversight Committee so tech companies might want to take notice. As AI becomes real, we need to make sure we’re designing for each. tour the dali museum, with your host…DALI! When Salvador Dali once said, “If someday I may die…I hope the people…will say, ‘Dali has died, but not entirely”, I’m not sure he knew how right he was. Using AI, his namesake museum in St. Petersburg, Florida has now “resurrected” Dali to welcome visitors, and provide commentary on his works as you move throughout the institution. There’s no better experience if you want to learn about an individual and his/her art than to hear about it directly from that person. Especially when they’re as dynamic and memorable as Salvador Dali. Unfortunately, most individuals famous enough to have their own museum likely aren’t on hand to do that in person. Having a virtual Dali guide you through his works seems a perfect way to experience his brilliance as both an artist, and a human being. Finland has set an ambitious goal to train 1% of its population (55,000 people) in the basics of AI. Their hope is that widespread technological expertise can help boost their economy and help them stay competitive in international markets, especially in the wake of Nokia’s decline. In order to achieve this, they created a free online course called the Elements of AI. The course is made up of six parts, covering everything from machine learning to neural networks, and has a focus on practical, problem-solving applications. The initiative has support of both the government and local businesses, with 250 companies vowing to train part or all of their workforce. So far, more than 10,500 people have graduated from the course. At a time when so many are afraid of how new technology will impact the current career landscape and are struggling to keep up with the pace of change, Finland’s idea to promote a free educational resource to equip its workforce is a smart move. China’s e-commerce giant Alibaba Group opened its first “future hotel”, also known as “Flyzoo Hotel”, in Hangzhou, China. Equipped with the latest leading technology, many futuristic features are enabled at the hotel, guests can check into the hotel without talking to anyone. They can walk straight to their rooms and get their faces scanned at the door to gain entry. Robots can be found everywhere in the hotel, and they would guide the guests by providing recorded voice messages and accompany them during their stay. The guests can also control indoor temperatures, lighting intensity, household appliances through their voices. A very notable device that the hotel is equipped with is called “Tmall Genie”, which is an AI management system. The system will take orders from guests, including buying groceries. The one-meter high robot ‘Genie’ powered by Tmall, an AI system, follows guests around, takes orders, helps to buy groceries, orders meals, and picks up laundry through voice command, touch, or simple gestures. Why it’s hot: As a reply to high labor costs, creating uniformity in hospitality services and mixing up and re-imaging the hotel industry, this robot enabled hotel is smarter, more automated and an inspiration for future digital travelers. 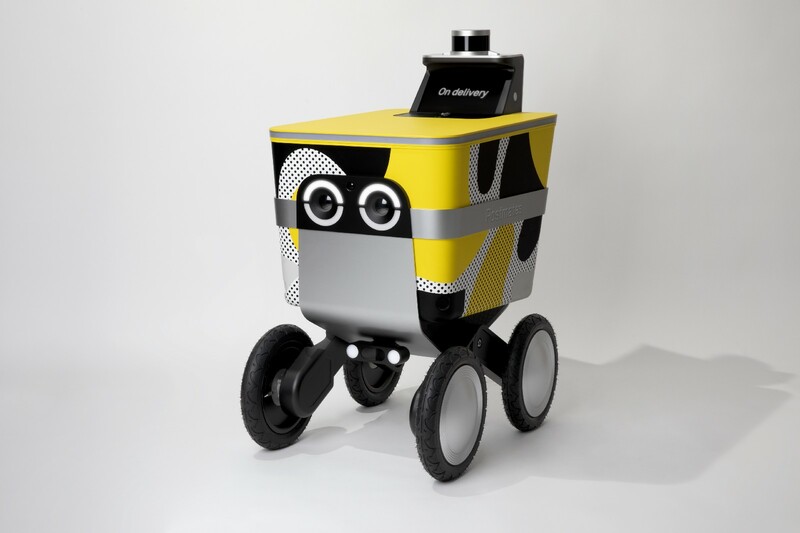 Postmates has introduced Los Angeles to Serve, a robot that will deliver food. Serve, which looks like a cooler on wheels with digital eyes, moves at walking speed and can carry up to 50lbs of food. In one charge, it can cover 30 miles. 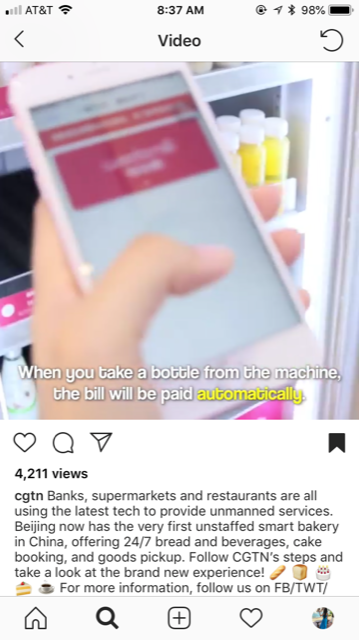 Customers will be able to order food via the Postmates app, and then will receive a code to unlock the robot to retrieve their food when it arrives. They can also alert Postmates of any issues by interacting with Serve’s digital touch screen. Serve is outfitted with lidar sensors to ensure it avoids obstacles, and uses a turn signal light to indicate to passersby that it is changing directions. Postmastes calls Serve a socially aware navigation system, saying, “Serve’s personality is all about understanding people. Nothing about Serve’s intelligence is artificial.” In their announcement about their newest team member, they note that they are trying to be more city-friendly, as they will no longer be contributing to heavy street traffic. Postmastes has come up with a smart solution to enhance their delivery service while being environmentally conscious. AI is at the top of every executive’s to do list embarking on a digital transformation, however CIO’s are still trying to figure out how to maximize the full strength of artificial intelligence. Most companies don’t have a full understanding around the complexities of AI and therefore don’t have the right strategy in place to execute relevant and purposeful interactions with customers. The key to building a successful AI-based platform is to invest in delivering consistent APIs that are easily discoverable and consumable by developers across the organization. Fortunately, with the emergence of API marketplaces, software developers don’t have to break a sweat to create everything from scratch. Instead, they can discover and reuse the work done by others internally and externally to accelerate development work. Additionally, APIs help train the AI system by enabling access to the right information. APIs also provide the ability for AI systems to act across the entire customer journey by enabling a communication channel — the nervous system — with the broader application landscape. By calling appropriate APIs, developers can act on insights provided by the AI system. For example, Alexa or Siri cannot place an order for a customer directly in the back-end ERP system without a bridge. An API can serve as that bridge, as well as be reused for other application interactions to that ERP system down the road. At their core, APIs are developed to play a specific role — unlocking data from legacy systems, composing data into processes or delivering an experience. By unlocking data that exists in siloed systems, businesses end up democratizing the availability of data across the enterprise. Developers can then choose information sources to train the AI models and connect the AI systems into the enterprise’s broader application network to take action. If we can help our clients develop customer strategies in tandem with a strong data and API strategy then we’ll be able to deploy 1:1 interactions with customers like the example below. AI anchors have several advantages over human counterparts: they don’t need to sleep, eat, poop or take a salary. It’s a wholly frightening idea that the 24/7 news cycle will be reduced to this one day. As we struggle to define the line between real news and fake news, we will also have to grapple with fake news anchors. Burger King revealed several new TV spots that say they were “created by artificial intelligence”. But in reality, Burger King says it’s actually work done by real creatives, mocking the excitement around technology like AI. Is Burger King right here? The spots they have created feel they could have been generated by even some primitive artificial intelligence. Japan’s “AI Creative Director” was more than a year ago, and its work was actually not far off from what you’d expect from a real creative. There seems to be a point missing here that AI is not meant to replace people, but to help people. Attempting to make a joke about the enthusiasm around technology, it seems Burger King might have actually shown us a glimpse at advertising’s future. A Customized Skincare Regimen From… AI Cleansing Device? A skincare brand created a cleansing device that doubles as a beauty advisor, using artificial intelligence to assess customers’ skin and create a tailored skin regimen. Swedish beauty-tech brand FOREO recently released the world’s smallest artificially intelligent beauty coach. Known as the LUNA fofo, the AI-powered facial cleansing device assists customers of all skin types with their daily routine thanks to an algorithm that progressively learns the user’s skin type and needs after several uses. The LUNA fofo combines advanced skin sensor technology with a silicone cleansing brush and T-Sonic pulsations for deep cleaning. “Simultaneously, the LUNA fofo can gather 700 years worth of intelligence within a two-month period of use.” The device pairs the information it gleans with data from a skincare quiz users can take on the FOREO For You app, which takes all of the information to then design a cleansing routine tailored for the individual user’s skin type and needs. The product’s beta version launched in July through a partnership with the FabFitFun beauty subscription service. Future features for the product include air quality detection, which will then adjust the treatment needed for the user’s skin. Why it’s hot: While the article didn’t expand into how this actually comes to life, personalized skin care and self-care (for example CareOf Vitamins) are becoming increasingly popular as younger generations continue to prioritize their health. I am curious how these cleansers work, and how advanced they are to learn about your skin type. Amazon’s private label fashion business has faced several hurdles, but continued investment – Prime Wardrobe, Echo Look, and numerous pure play e-comm acquisitions – proves that they won’t stand for anything less than front row. 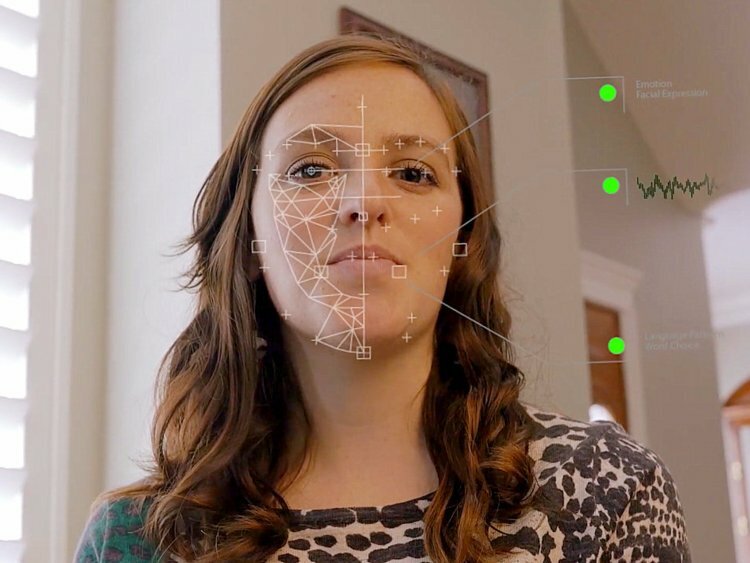 Recently, Amazon has acquired Body Labs – a firm which promises to bring 3D models to life. For fashion, accurately predicting size and fit across a diverse consumer base has always been a reach goal. Designers and other stakeholders in the supply chain have long relied on antiquated data, often based on models of an average person, and no one brand has found a scalable solution for custom-designed clothing. While Body Labs can’t solve for customized design, it can provide brands with a range of different models and bodies that would validate the fit of different patterns, which makes for better fitting clothing. If Amazon’s private label clothing knows your fit better than any brand can, why would you shop anywhere else? As personalization is becoming table stakes, Amazon’s foray into one of the most significant aspects of individual expression once again shows that any market can instantaneously become amazon-takes-all. According to computer scientists at Stanford, they have “developed the first system for automatically synthesizing sounds to accompany physics-based computer animations” that “simulates sound from first physical principles” and most impressively, unlike other AI “no training data is required”. While most AI to date requires overt training in order to be able to properly synthesize an output, this requires none. It’s not the first AI to require no human-assistance, but the future that might have seemed years off for AI is rapidly advancing. If AI can construct sound from visuals based on physical principles, you have to wonder how hard it might be to construct physical objects based on sound. The next time you’re searching for a recipe on Allrecipes.com, you might see a cocktail pairing sponsored by Tito’s Handmade Vodka. The two brands have teamed up on a mixologist chatbot, Barkeep, to recommend drinks and walk people through preparation. Barkeep is powered by natural language processing and a mixology database to suggest cocktails based on seasonality, popularity, and users’ preferences. 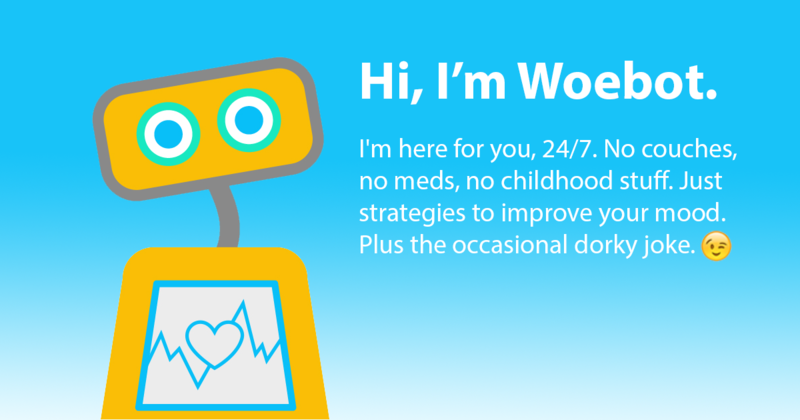 The chatbot will be accessible by Facebook Messenger, as well as integrated within the Allrecipes search database. Beyond recipes, the chatbot also features a catalog of on-demand alcohol delivery powered by Drizly. The partnership is a natural fit — Allrecipes users are 20% more likely than the average U.S. adult to be frequent entertainers, and are more likely to have prepared a mixed drink in the past week. They are also 21% more likely than the general U.S. population to have consumed Tito’s Handmade Vodka in the last six months, according to comScore Fusion. 39 million people use Allrecipes.com every month. This is a natural way to introduce cocktail pairings and alcohol delivery to a large, engaged audience. Beijing welcomed its first unmanned smart bakery, a collaboration between Alibaba and domestic baker brand Wedomé. 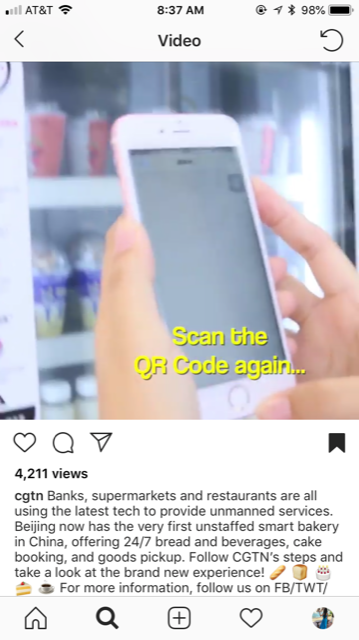 The bakery uses technologies including AI image recognition, mobile payment and QR code to enable unmanned services. 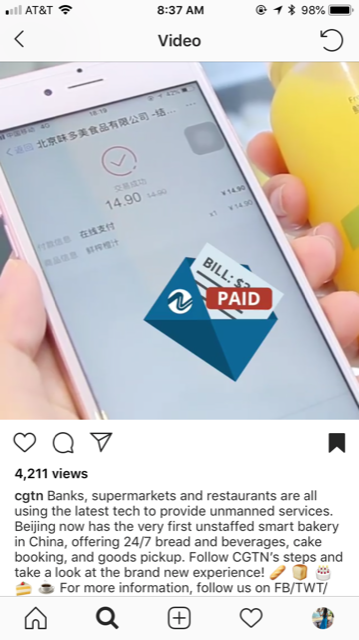 Why it’s hot: Mobile payment is so prominent in China and sets the nation on its way to be (maybe) a cashless economy one day. A Japanese telecom company NTT East built AI Guardman, a new AI security cam with startup Earth Eyes Corp. They combined open source technology developed by Carnegie Mellon to scan video streams with their own algorithm that matches the data from these streams to ‘suspicious’ behavior. 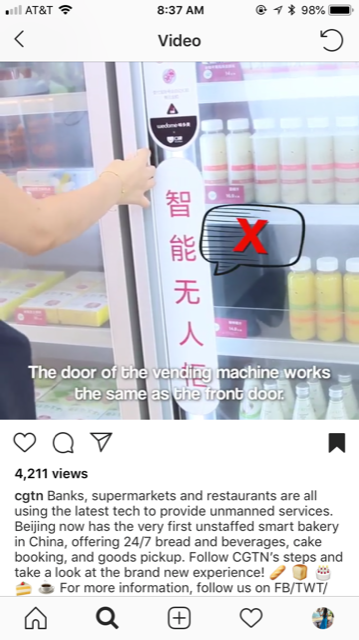 From early testing, NTT East claims AI Guardman reduced shoplifting in stores by roughly 40 percent. But there are potential problems with this security camera. First, it sometimes misidentifies indecisive customers (who might pick up an item, put it back, and then pick it up again) and salesclerks who are restocking shelves as potential shoplifters. Second, it is possible that the data may be biased towards certain groups. Currently, store owners may only know if they were shoplifted when it comes to their attention, which could be several hours after the fact. Once this technology is made available, they can be alerted of suspicious behavior in real time. The Maze, a new choose-your-own-adventure game for Amazon’s Alexa, lets you play the role of a Westworld host, taking you through up to 60 storylines with 400 unique game choices, and up to 2 hours of storylines and narrative choices. The Game features two of the show’s main actors–Jeffrey Wright, playing Bernard, and Angela Sarafyan, reprising her role as Clementine. 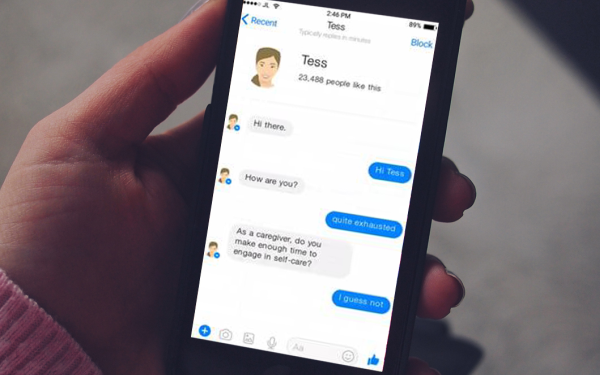 Following on a simple chatbot, an AR and VR project, and a life-size replica of the show’s main town, Sweetwater, complete with actors fully in character, built for South by Southwest, the Alexa project, first conceived of in March and completed in just three months, is timed to the highly anticipated finale of season two (this past Sunday). Those who have an Alexa-enabled device and download The Maze skill will start their adventure by saying, “Alexa, open Westworld” before venturing into the show’s world as a Westworld host–as the humanoid AIs in the show are called. They’ll be tasked with answering questions about the show, and trying to advance through three levels of increasing difficulty. Why it’s hot: This is an engaging and shareable game that is right in line with the Westworld cult fanbase. I would be interested to see completion rates, as well as the % of Alexa owners who use it for games. However, regardless – this is a great way to engage this fan base! Uber has applied for a patent to use AI to determine a passenger’s “user state” before they’re picked up by their driver. While this may trigger alarm for those who rely on Uber to get them home safely after a night of drinking, it seems as though the company has the passenger’s safety top of mind. 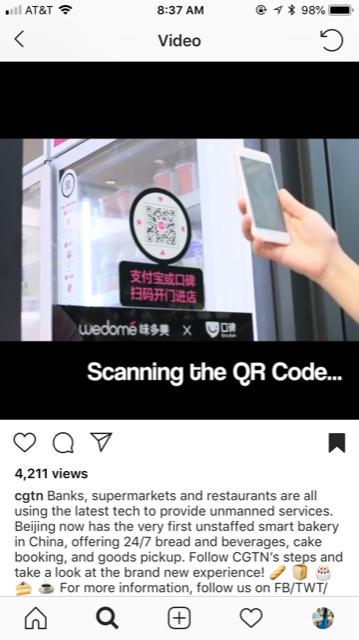 If implemented, the technology would scan for patterns in behaviors like interaction speed, typing, device angle and even walking speed to understand when a customer seems to be acting out of the ordinary. It will also measure how far from normal the behavior appears. The company hasn’t clarified exactly what this will mean for users, but the patent application mentions that passengers may be paired with drivers “with experience or training with users having an unusual state.” It may also encourage drivers to use pickup and drop off locations that are well-lit and easy to find. 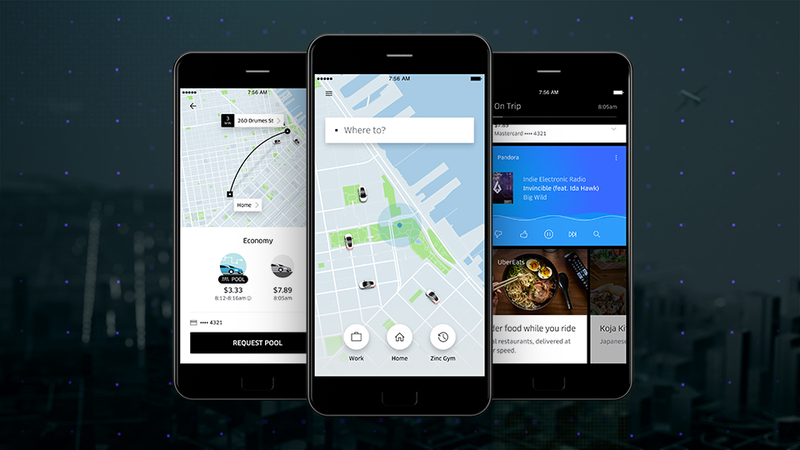 This unique application of AI can potentially make for a smoother ride for both Uber drivers and passengers. It may also inspire other apps to push the boundaries of how to improve customer experience based on user behavior data. The Harry Potter chess board is now a real thing. You’re a chess enthusiast, but let’s face it: your chess board is probably collecting dust in your closet. Since no one in your household wants to play, you’re forced to play a game online or, even worse, not at all. Don’t worry—InfiVention Technologies will solve your issue with artificial intelligence. InfiVention Technologies is redefining board games with the help of AI. Their product Square Off lets you play a game of chess on a real board with real chess pieces against opponents online or the artificial intelligence of the board. You will see your opponent’s every move in real-time, right in front of your eyes. The board uses magnets to move the pieces, while careful to not dislodge the adjacent pieces from their positions. No one expected AI to take over board games—it’s often associated with computers. Since board games are rarely single player, many games have transitioned online to allow you to play at your own convenience. This brings back the charm in playing chess. Zillow plans to build AI into its search engine with the goal to transform the site from a real estate search engine to an assistant that understands what people want and are looking for. The idea is to learn and understand the types of criteria people are looking for and recommend homes based on that. For example, the AI will be able to understand your taste in decor. It’ll be able to take into account the interior photos of homes people are looking at, understand what they might like and make recommendations based on that. Why it’s hot (or not): There’s a chance that a home buyer might miss a house that has a lot of potential but does not meet the right criteria according to AI. Duplex, Google’s robot assistant, now makes eerily lifelike phone calls for you. The unsettling feature, which will be available to the public later this year, is enabled by a technology called Google Duplex, which can carry out “real world” tasks on the phone, without the other person realising they are talking to a machine. The assistant refers to the person’s calendar to find a suitable time slot and then notifies the user when an appointment is scheduled. During demonstrations, the virtual assistant did not identify itself and instead appeared to deceive the human at the end of the line. However, in the blogpost, the company indicated that might change. Another entry in our ‘is it good, is it bad’ AI collection. Helpful if used ethically? Maybe. Scary if abused? Absolutely.